The seventh and eighth days of Passover are celebrated as Yom Tov, holidays, capping the weeklong celebration that begins with the first Seder. In Israel, only the seventh day is celebrated. In Hebrew, the last two days are known as Shvii shel Pesach (Seventh of Passover) and Acharon shel Pesach (Last of Passover), respectively. Whereas Shabbat happens every seven days without any input from us, G‑d commanded the children of Israel to fix the dates of the months and years.1 This means that the power to determine when the holidays fall was given to Moses and his successors—the rabbinical courts. Originally, there was no fixed calendar. Each month, the Sanhedrin (supreme court) in Jerusalem would determine whether the previous month had been 29 or 30 days long, depending on when the new moon of the following month was first sighted. There was no way to determine the exact day of a coming festival (Yom Tov) in advance, because every festival falls on a particular day in a month, and the month would begin only when the new moon of that month was sighted. Once the Sanhedrin had determined that a new month had begun, the information was broadcast from Jerusalem to distant Jewish outposts via huge bonfires which were lit on designated mountaintops. Lookouts stationed on other mountaintops would see the fires, and would then light their own fires, creating a chain of communication that led all the way to Babylon, and to even more distant communities. If there was a Yom Tov that month, communities across Israel and in the Diaspora would then know when to celebrate it. But a problem arose. The Samaritans, a sect who denied rabbinic authority and were constantly at odds with the Jews, started lighting fires on the wrong days in order to manipulate the calendar. To prevent confusion, the fire-on-mountaintop method of communication was discontinued, and instead messengers were dispatched to Babylon and other farflung Jewish settlements. Since news traveled a lot slower that way, distant communities would not know when Rosh Chodesh (the “Head of the Month”) had been declared in time to celebrate the festival on the proper day. It was therefore decreed that outside of the Land of Israel people would celebrate every Yom Tov for two days: the day of the month the holiday would be if the previous month had been a 29-day month, and the day of the month it would be if the previous month had been a 30-day month. Each week, synagogues across the world read a section from the Torah (the five books of Moses). In Hebrew, this passage is called Parashat HaShavua (פָּרָשַׁת הַשָּׁבוּעַ), which means “portion of the week.” Sometimes it is called the parsha or sidra. The Jewish community follows a schedule of readings based on the Hebrew calendar. 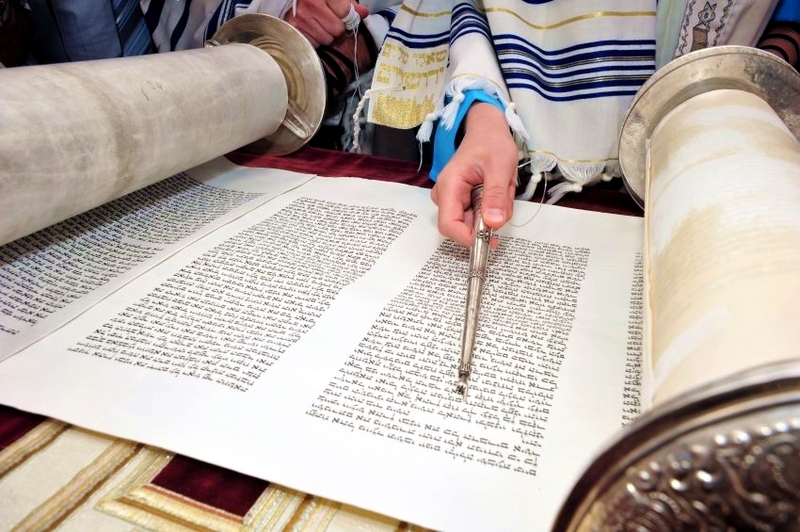 Over the course of a year, the entire Torah is read publicly during the synagogue services. Each reading has a name based on one of the important Hebrew words in the first sentence of the passage. There are fifty-four portions in the regular cycle, as listed below. What Happened on the Seventh Day of Passover? On the 15th day of the month of Nissan, the children of Israel left Egypt, where they had served as slaves for generations. Despite his original stubborn refusal, after 10 debilitating plagues, Pharaoh relented and allowed Israel to leave Egypt for a three-day spiritual retreat in the desert. Three days later, when the Israelites failed to return, Pharaoh realized that they were gone for good, safely on their way to independence and freedom in the Promised Land. He bridled his best warhorse and called his nation to join him in pursuit of his erstwhile slaves. After a short chase, the Egyptian army caught up with the Israelites at the banks of the red sea. The Israelites were trapped; there was nowhere to go but into the sea. Then YAH (a.k.a GOD) commanded Moses to raise his staff and the sea split, allowing the Israelites to comfortably cross on dry land. When the Egyptians attempted to follow the Israelites across, the sea came crashing down on them. Chariots, riders and horses all perished in the churning sea. Overwhelmed with gratitude, Moses led the Israelites in singing the Song of the Sea. Miriam led the women in an additional song of thanks, accompanied by tambourines and drums. This miracle took place in the wee hours of the morning of the Seventh of Passover. Don’t blink. Many people have the custom to remain awake the entire night preceding the seventh day of Passover, studying TORAH as a way of thanking YAH for the miracle HE did at that time. Sip and dip. Many people have the custom to make sure that the matzah does not come in contact with moisture, lest some leftover flour become leavened. On the eighth day of Passover, this restriction is relaxed, and matzah can be mixed with water and other liquids to create Passover favorites like matzah balls and matzah brei. Read the deeper meaning behind the laxity on the eighth day. Yizkor. During the morning services of the eighth day, Yizkor memorial prayers are recited for departed relatives. Futuristic dining. It is believed that on the last day of Passover, the rays of the messianic redemption are already shining bright. It was instituted that a special meal be held during the waning hours of the day. Rabbi Shalom Dov Ber of Lubavitch added four cups of wine to the meal, mirroring the Seders held on the first nights of the holiday. 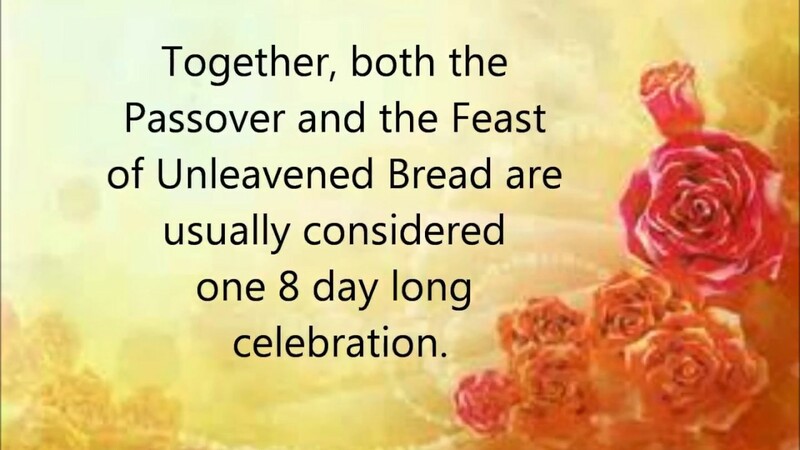 (In Israel, this meal and Yizkor are observed on day seven).